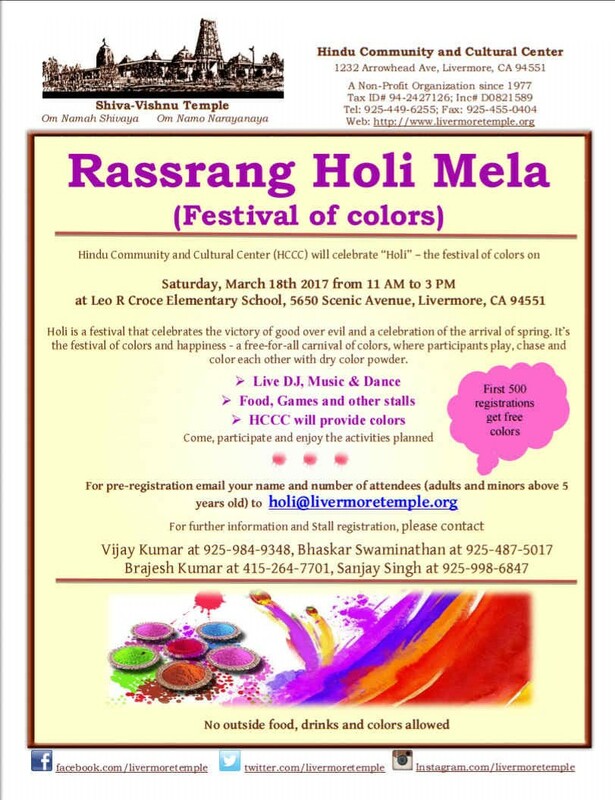 We invite you to register and join us for Holi celebrations at Croce School, Scenic Ave, Livermore on March 23, 2019 from 11 AM to 3 PM. Holi is a festival that celebrates the victory of good over evil and a celebration of the arrival of spring. 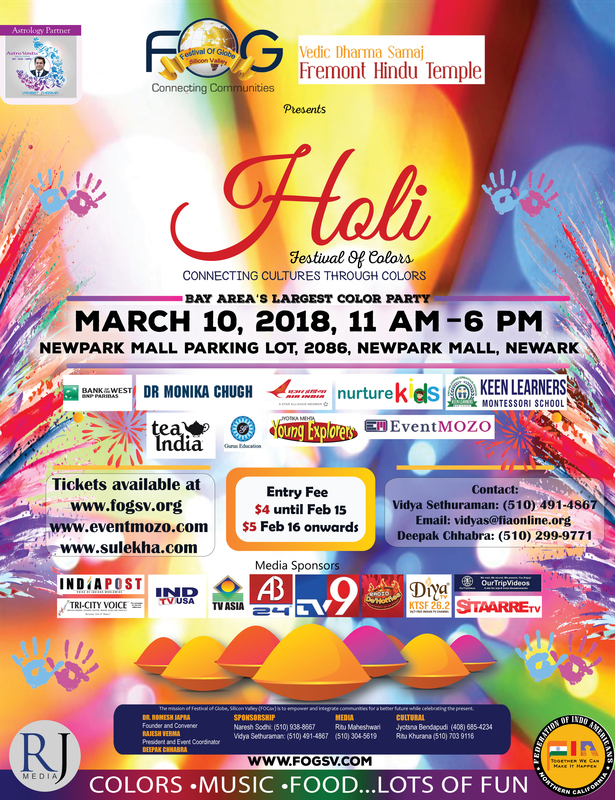 It’s the festival of colors and happiness – a free-for-all carnival of colors, where participants play, chase and color each other with dry color powder. 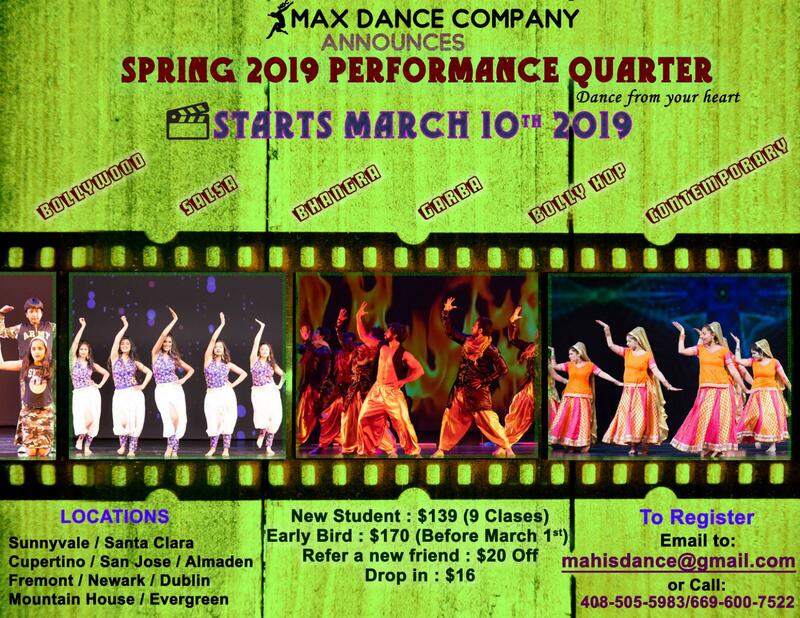 Are you looking for a place to learn bollywood, bollyhop or just about any form of dance while u have fun? of colors, where participants play, chase and color each other with dry color powder. Bishop Ranch is hosting its 5th Annual Holi Festival Celebration on Friday, April 13th 2018 from 5:30 p.m. – 8:00 p.m. This free community event is expected to attract more than 1,500 attendees this year. Holi is an ancient festival from India that celebrates the beginning of spring. 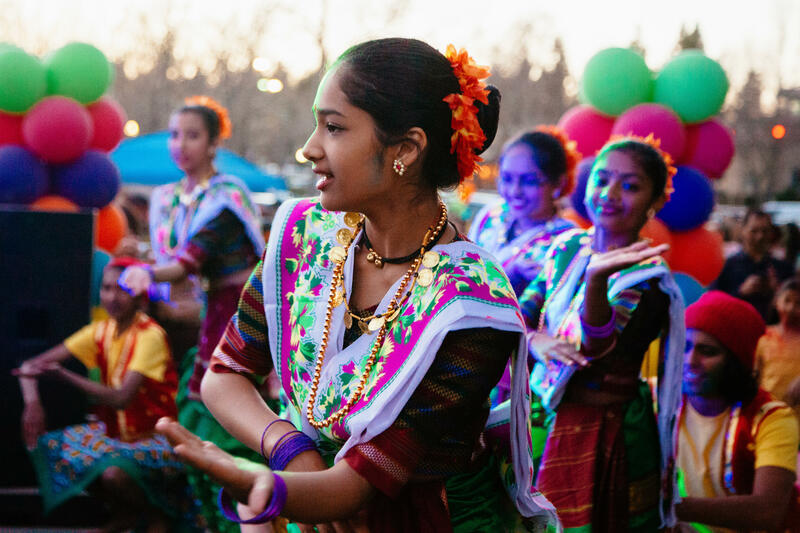 Along with the traditional throwing of colors to commemorate the vibrant and abundant colors of springtime and to say farewell to the long winter, there will be several free, family-friendly activities, including face painting, henna tattoo artists, dance performances, live music, gourmet food trucks and a Kids Zone hosted by the City of San Ramon. Do good and have fun with colors! 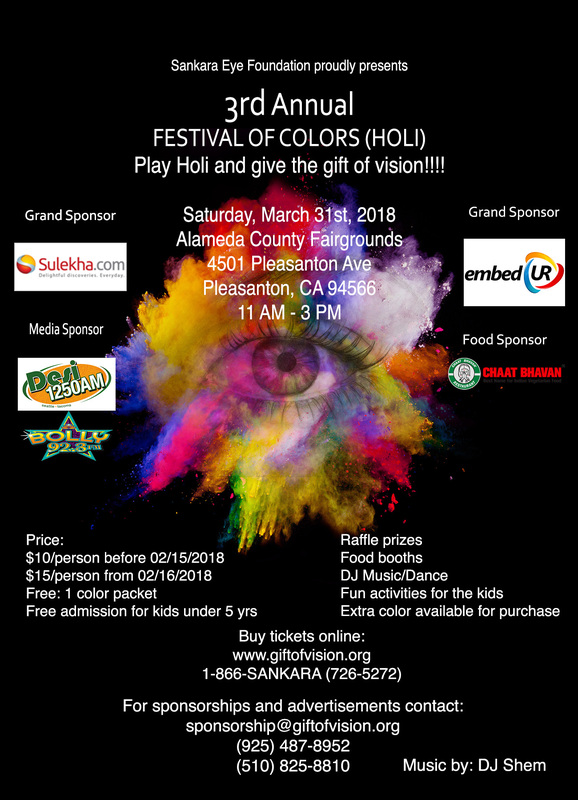 SEF is happy to bring another colorful Holi in the East Bay at the Alameda County Fairgrounds on Saturday, March 31st, 2018. The festival is kid friendly, has a super DJ with great music, will have food for purchase and lots of colors, including one free packet with admission. Please bring friends and family to support the event. SEF is a 501(c) 3 non-profit organization, with a mission to eradicate curable blindness in India. We currently have nine fully functional super-specialty eye hospitals providing free eye care to the poor. SEF has performed over 1.5 million free eye surgeries and today, is the largest provider of totally free eye surgeries in India. 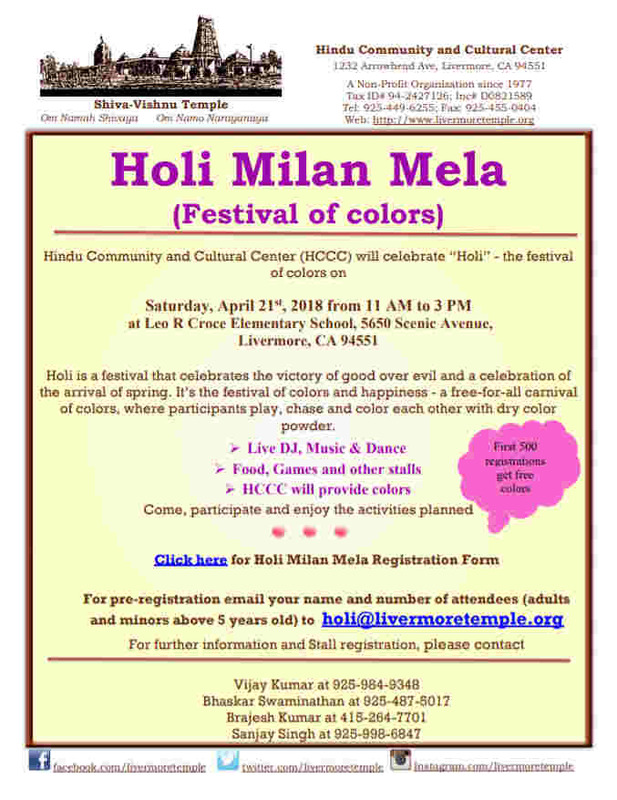 Please visit us at https://www.giftofvision.org/events/sef-holi-2018pleasanton for more information. 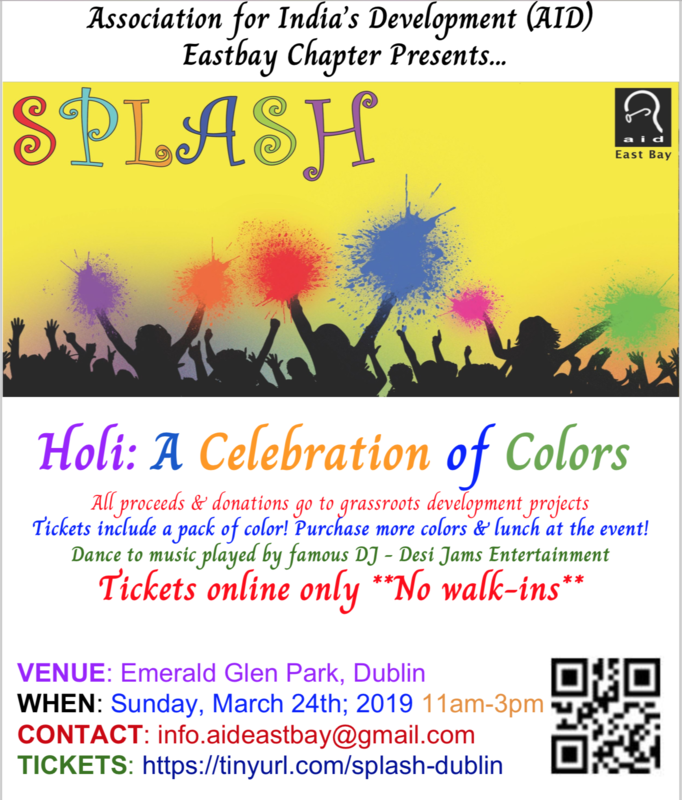 Dear all, We invite you to ‘SPLASH 2018’: Holi – a celebration of colors at the Emerald Glen park Dublin on Sunday, March 4th, 11a-3p. This is a fun event with music, food and of course colors! ALL are welcome to enjoy SPLASH. Place: at Leo R Croce Elementary School, 5650 Scenic Avenue, Livermore, CA 94551. 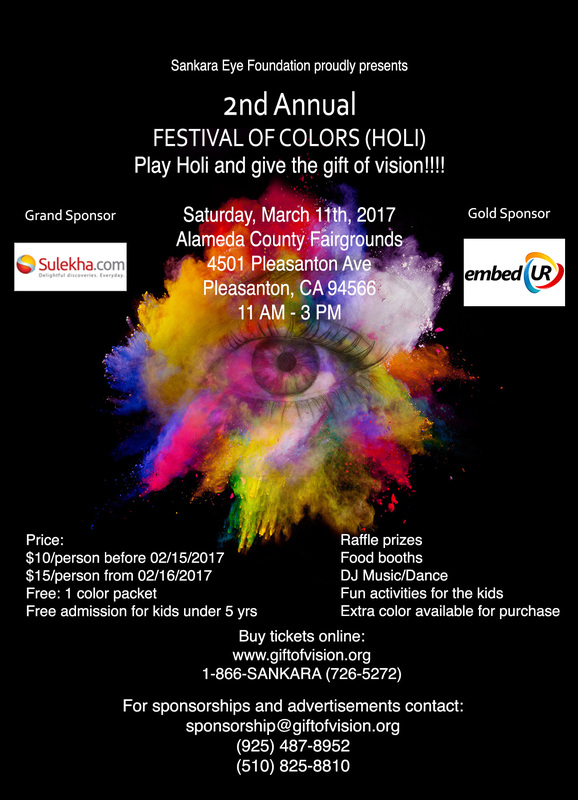 SEF is hosting its the 2nd Annual Holi (Festival of Colors) at the Alameda County Fairgrounds on Saturday, March 11th, 2017 from 11:00-3:00pm. The festival is kid friendly, has a super DJ with great music, will have food for purchase and lots of colors, including one free packet with admission. The event consists of sharing the joy of Holi by sprinkling color powder on friends, family and anyone participating. Please bring friends and family to participate in the event and support a good cause. 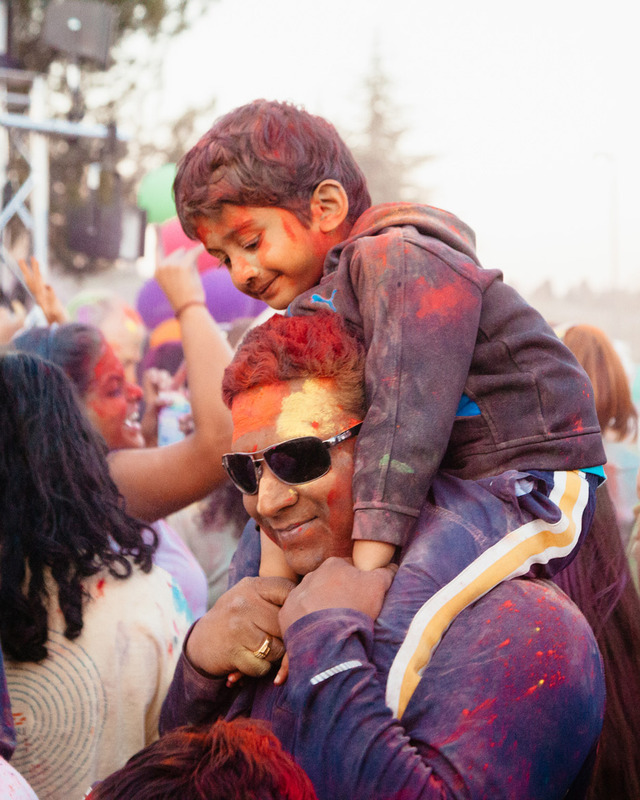 The family-friendly, colorful festival of Holi will be celebrated right here at the Bishop Ranch 2600 front parking lot on Friday, March 24. This free event is expected to attract over 1,400 attendees this year (see pics from last year’s event). Holi is an ancient festival from India that celebrates the beginning of spring. Participants throw brightly colored powdered pigments on each other as a way to commemorate the vibrant, abundant colors of springtime and to say farewell to the long winter. 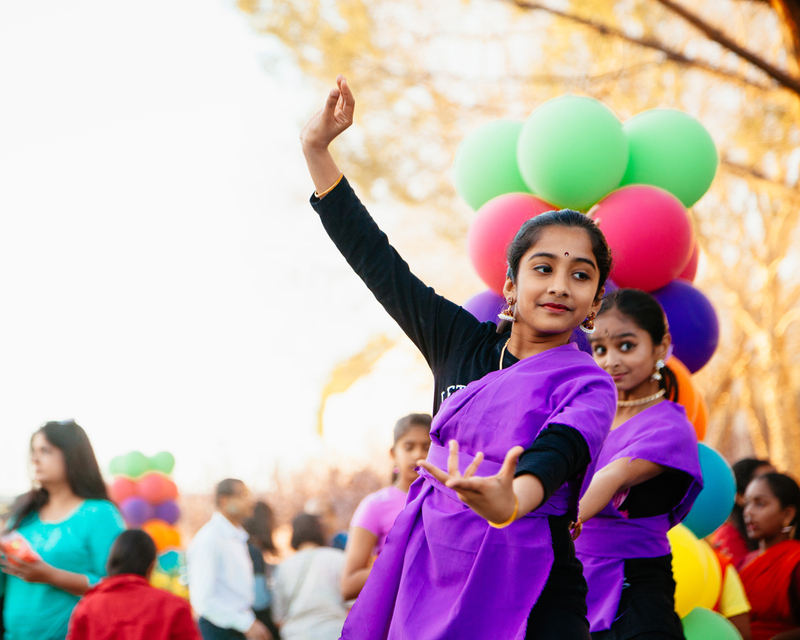 Along with the traditional throwing of colors, there will be plenty of free activities for the family: face painting, henna tattoo artists, dance performances, and live music to enjoy while you grab dinner at one of the mobile gourmet food trucks. There is also plenty of free parking! Don’t forget to bring a set of old clothes (white works best), the family, and join to take part in this exciting family event. 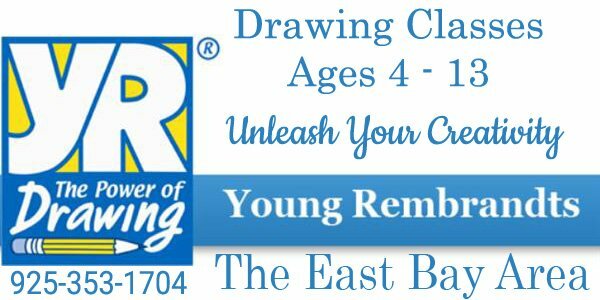 Contact: Annie Noebel, anoebe…@c…com (949) 525-7024 or Bishop Ranch Community Outreach, (925) 543-0100.